SALT is a nonprofit photography program serving inner city teenagers in New York City. Through professionally led instruction, they seek to engage, inspire, and empower kids to have a voice in their world and become all that they are created to be. 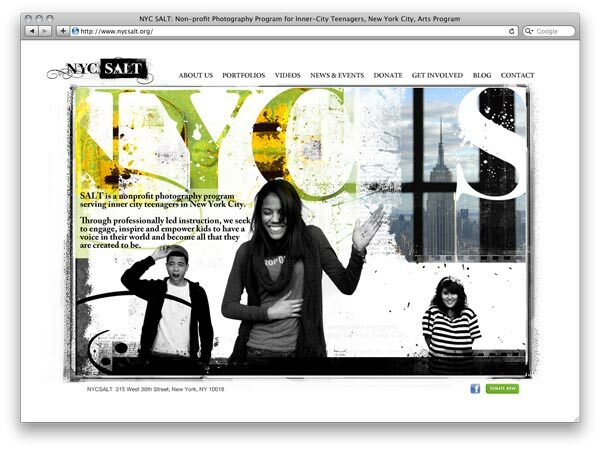 NYC Salt was created by photographer Alison Hansen in January of 2005, this program inspires teens, instills them with confidence and keeps them off the streets. The reference to ‘salt’ reflects their hope that this program will flavor and preserve the communities it serves. Using liveBooks as a platform for the elephant conservation project has allowed me to give the vanishing elephants worldwide visibility, currently my images have been viewed in 91 countries. The new features such as Scaler, integrated pages, video and a companion blog brings all aspects of my elephant project into one place allowing me to tell the elephant’s story in so many ways. The issues of elephant conservation are complex and being able to talk about the issues in the blog and show the video is helping people see and understand the issues surrounding their future. When I’m on the road, I love the fact I can update my site with my latest work so fast and easily. 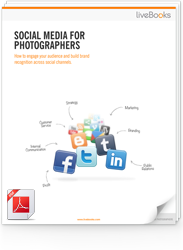 Print sales primarily come from clients having seen my work on the liveBooks site. 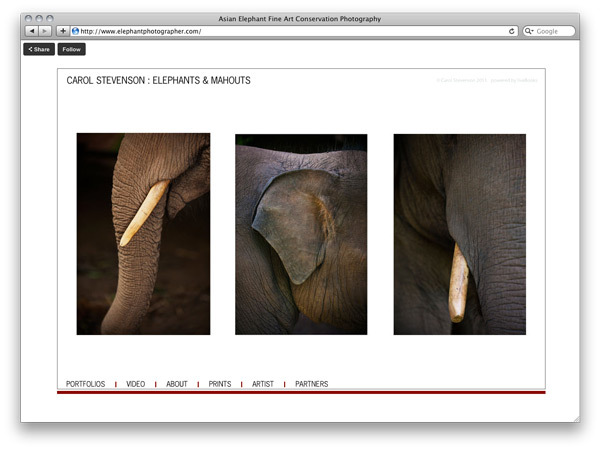 And the SEO capabilities are tremendous as my site now comes up #1 when one searches for ‘elephant photographer’. Not only do proceeds from the print sales goes to the foundation but through the website, I’m able to introduce so many more people to the rescue work of the foundation (www.helpingelephants.org) as my site gains more and more visibility. 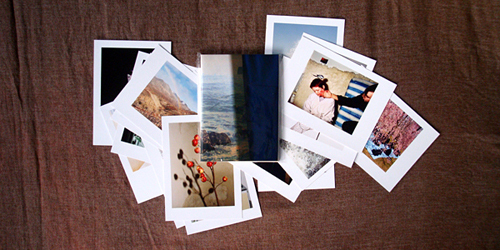 Shortly I’ll be taking it one step further – my liveBooks site will be the platform for me to seek grants for the project and the documentary film. The Asian Elephant is an endangered species and their numbers continue to decline. Many efforts are being made to help the existing populations of these incredible creatures, and the Elephants & Mahouts photographic project is one such.Carol Stevenson is photographing the project, intended to span at least five years, will be an evolving collection of portraiture depicting the elephants and the unique and complex relationship they have with their Mahouts (owners/keepers). The initial body of work is augmented to document new arrivals – newly rescued elephants and new births – and to provide a continuous visual record of the evolving elephant communities. This project is planned as both an educational tool and as a fundraising vehicle to provide ongoing support for the elephants.